I don’t know why this happens, but it always seems like my favorite comics all come out in the same week. It’s a nightmare for the wallet but a celebration for reading! This week, we’ve got new issues of Ant-Man, Spider-Woman, Lumberjanes, Grayson, We Are Robin, Harley Quinn and more! It’s great! 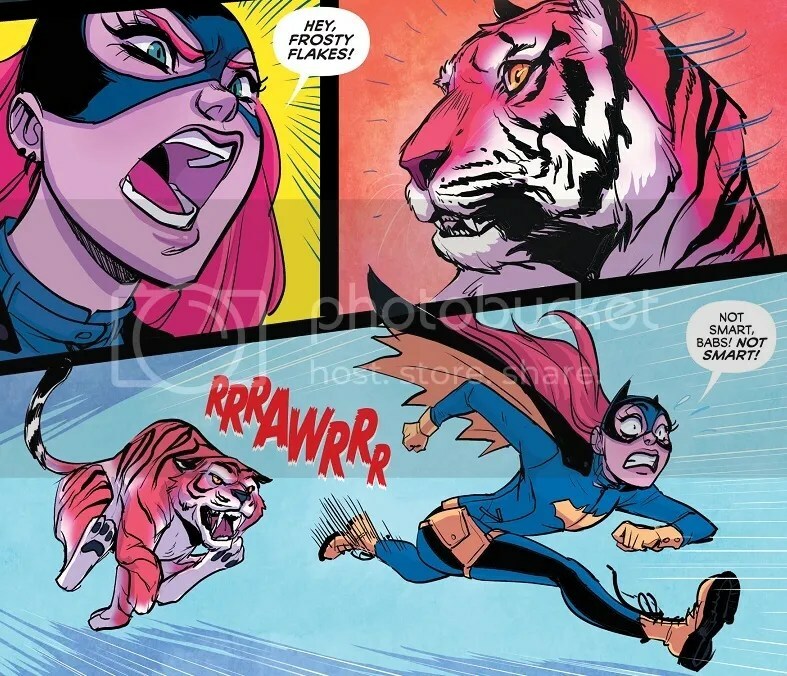 Comic Book of the Week goes to Batgirl #43 for another nearly perfect issue. Batgirl is everything I could possibly want from a superhero comic these days, and the creative team pulls it off so effortlessly. I hope DC keeps this team and this direction around for a long time to come. Comic Reviews: Last Days of Ant-Man #1, Batgirl #43, Cyborg #2, Grayson #11, Harley Quinn #19, Justice League of America #3, Lumberjanes #17, Ninjak #6, Spider-Woman #10 and We Are Robin #3. Only one week until Boston Comic-Con! That’s my first comic-con of the season, where I’ll be shaking hands and kissing babies in the name of Gamer Girl & Vixen! Anybody else going? I could buy you a hot dog! As for comics this week, we’ve got some good ones! Cyborg #1 makes its big debut at DC comics, though it’s about four years late. Still, it looks like a good start, though I would have liked more. I also checked out the first issue of Kate Leth’s Power Up and was equally wishing she’d gone just a bit further in her debut issue. Alas. As for really good comics, we’ve got new issues of Spider-Woman and We Are Robin, both of which are sizzling. And the new issue of Uncanny X-Men is a Goldballs spotlight issue! I’m beside myself with glee. Comic Book of the Week, however, goes to Grayson #10 for its downright gorgeous artwork and fun style! Why do we all not live there? 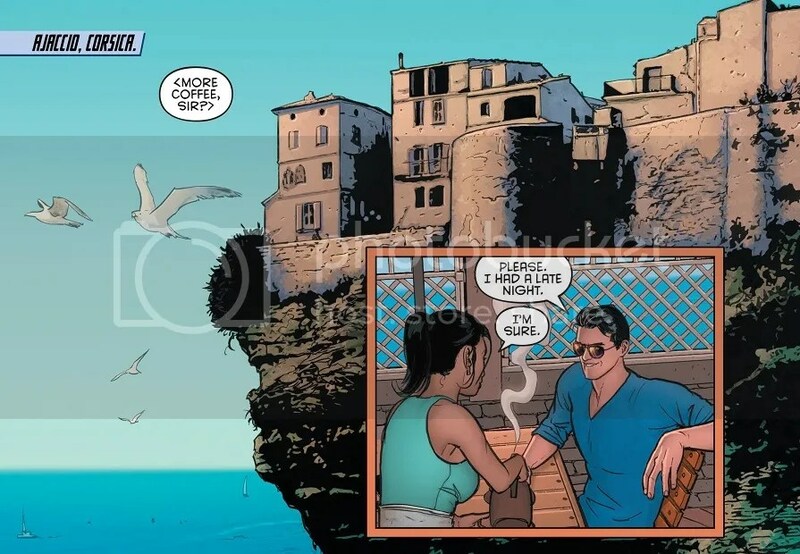 Artist Mikel Janin is going place! Heck, I’m not even sure why DC is keeping him on Grayson when he could be drawing Wonder Woman, Superman or anything else! Comic Reviews: Cyborg #1, Grayson #10, Power Up #1, Prez #2, Spider-Woman #9, Uncanny X-Men #35 and We Are Robin #2. 2 New Robin Comics Coming This Summer; DC’s ‘New 52’ Out the Door…Kind of! Breaking comic book news today is that DC Comics is going to do a little rebranding of the New 52 this June. They aren’t producing 52 comics a month anymore, so the name doesn’t make any sense. The New 52 continuity and characters will remain the same, but they’re bringing in 24 new comics and basically just doing away with the ‘New 52’ name tag. All of this will launch after the April-May Convergence mini-series. IGN has part of the scoop. And CBR has some more! And Newsarama has even more! Chief among the new comics will be something called We Are Robin. I have no idea what this is, but I am hugely excited! I’m going to be scouring the Internet for any news about this series. Will it star the various Robins already hanging out in Gotham City? 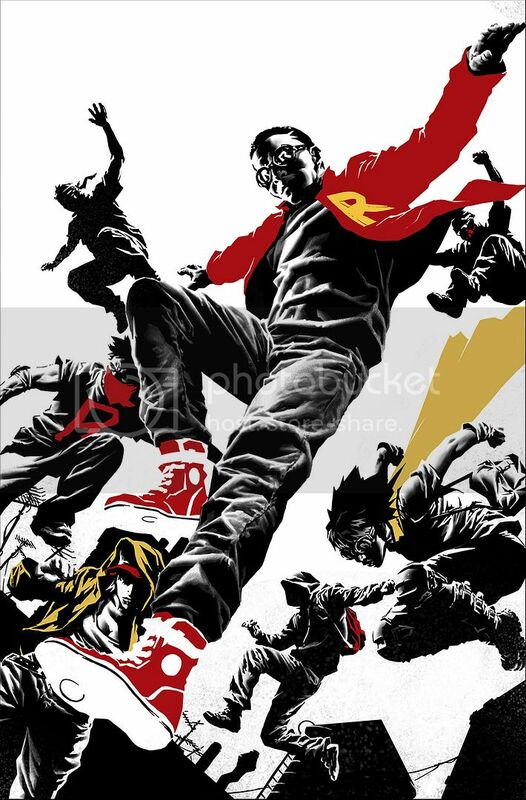 Or, like the cover implies, will it be about a bunch of street kids who wear Robin-branded clothing? Who knows! I am beyond excited to find out. 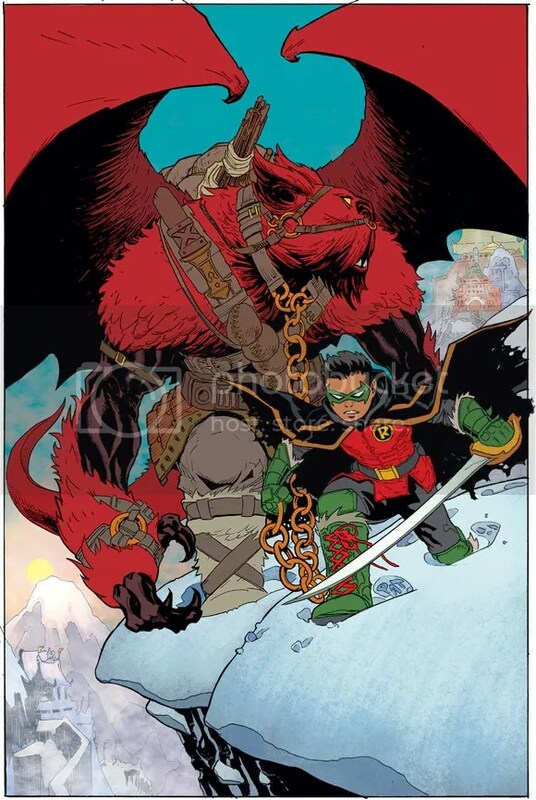 Also announced is a new solo series for Damian Wayne, which will replace the Batman and Robin ongoing. Robin: Son of Batman will be written and drawn by Patrick Gleason, a true superstar! No word yet why Robin will be teaming up with a giant red monster. There will also be new comics for Bat-Mite, Bizarro, Black Canary, Cyborg, Dr. Fate, Martian Manunter and many more. My favorite comic book artist, Bryan Hitch, will also be taking over both writing and art duties on Justice League! Check out the various titles at the links above. Another announcement I’m excited about will see Starfire split away from the long-running Red Hood and the Outlaws comic into her own series, written by the Harley Quinn team of Jimmy Palmiotti and Amanda Conner, with art by Emanuela Lupacchino. That sounds pretty amazing, considering I love me some Harley Quinn comic. The Outlaws book will be shrunk down to just Red Hood/Arsenal. Could this be an attempt to finally cater to fans of the Teen Titans cartoon? 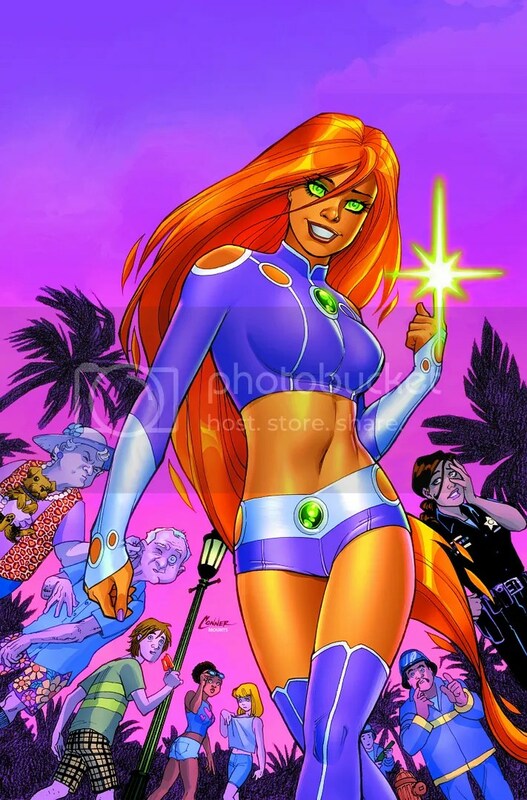 Starfire’s new costume seems to suggest as much (though she’s still wearing incredibly short shorts)! That is a damn good idea, since everybody was pretty soured to Starfire in the New 52, whereas she could be getting a ton of fans. I’m going to try to update this post throughout the day with new information as it comes in! For me, I’m just excited to see Robin getting some attention! I can’t wait to find out more about We Are Robin! What do you henchies think? Any of these new comics look good to you? Or do you think DC should do away with the New 52 entirely? Looks to me like they’re going to take a play out of the Marvel NOW! playbook and just introduce waves of new titles to see what takes off. The focus of this new rebranding is to reach out to a wider audience. When the New 52 launched, it was rigidly tied to DC’s grim and gritty house style, but then both Marvel and DC had much more success with a wide variety of comics (like Ms. Marvel and Batgirl). Now it looks like DC learned their lesson. The house style is out and variety reigns! This casting news has come out of left field, but Broadway actor Ray Fisher has been cast as Cyborg in the upcoming Man of Steel sequel. Variety reported the news yesterday. I’ve never heard of the guy, but the people who cast Ben Affleck as Batman and Jesse Eisenberg as Lex Luthor seem to think he’s their man. So what started out as just a sequel to last year’s successful Superman movie is suddenly turning into Justice League Lite. Not that I’m complaining, mind you. I think it’s a great idea. The Superman sequel now has Batman, Wonder Woman and Cyborg in it. I’m just upset that nobody has announced Robin yet for the movie! 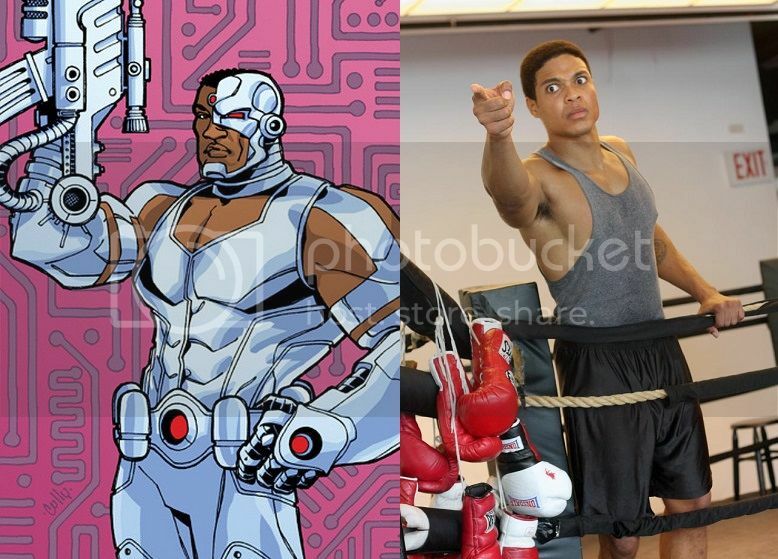 For those who don’t know, Cyborg is Vic Stone, a member of the most recent Justice League. He’s basically just a cyborg, a guy who’s body was enhanced with robotic parts. The article says he won’t be a big part of the movie, but obviously, at this point, we can all see that Warner Bros. and DC Comics are gearing up for a full-on Justice League movie. More power to them. I didn’t like Man of Steel, so cramming a bunch of other awesome superheroes into the sequel might make up for it.